Facebook ads is the newest, hippest advertising method on the block these days. You’ve probably already been told about how easy they are to use. They are also low in cost and are amazing they are for doubling your business income. Facebook ads are great and are a tremendously simple tool for taking your business revenue to new heights if used correctly. You will also need to know what to do and when to do it. If you’re using Facebook ads without a strategy in place it can become extremely costly and unsuccessful. When you are in a service-based industry such as event planning, you also need to be more aware of the differences you’ll need to focus on, that product-based business would not. 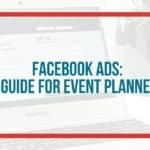 To help you crush your Facebook ad challenges I’ve compiled a list of the four (4) most common Facebook Ad mistakes event planner make and how you can avoid them. If your ads are not receiving the interaction that you expect, it is time to look at your ad copy (aka wording). 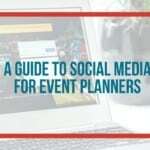 Event Planners will often create Facebook ads that speak about their company and services. These ads will speak to the name of the company, how many years they have been in operation, the suite of services they provide and where to find more information about them. While these ads are informational, they fail to address the biggest question you should be answering for your customer and that’s “Why should I care?”. Essentially these ads fail to show the customers why they should click on your ad. The key to fixing these ad types is to change your ad copy to one that speaks to your customer. 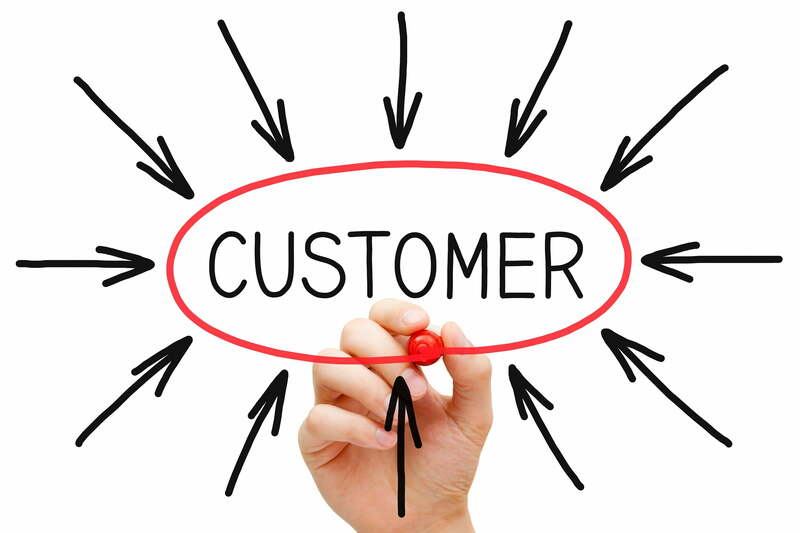 Your ad should address your customers needs, challenges and questions. For example, instead of saying “The Event Certificate is your online resource for event planning business education”, you should instead say “Struggling with your Event Planning Business? Here’s how the Event Certificate can help”. 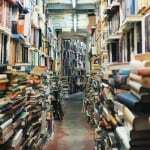 The idea is to change the narrative from one that is focused on your business to one that speaks to the customer’s problems and how your service can solve them. Looking for examples? Download our list of Great Facebook Ads you can learn from. This is a mistake more common with new event planners. The fear of missing out on a potential customer will often lead to the creation of Facebook ads that speak to everyone. While in theory, this might seem like a good idea, in reality, you end up creating an ad so general that it connects with no one. 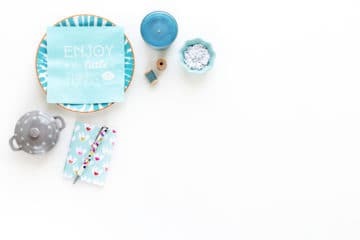 Look at it this way, if you were explaining your event planning services to your parents, grandparents, siblings, friends and your 8-year-old niece or nephew (let’s pretend with me for a moment), would you use the same words? Or better yet, would they have the same questions or concerns? Chances are they won’t. Your grandparents might have questions about if this is an actual career and if people really pay you to plan parties. The siblings might think this is the coolest job on the planet. While your niece/nephew might be more concerned about how much cake and candy you can help them sneak before bedtime. 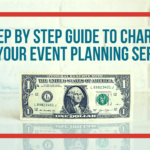 The same theory can be applied to your event planning clients. 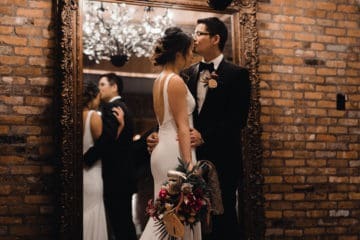 A newly engaged couple would have different needs from a corporate client looking to launch a product, or someone looking to organize a retirement party for a parent. Therefore your ads need to speak directly to each of these groups individually. 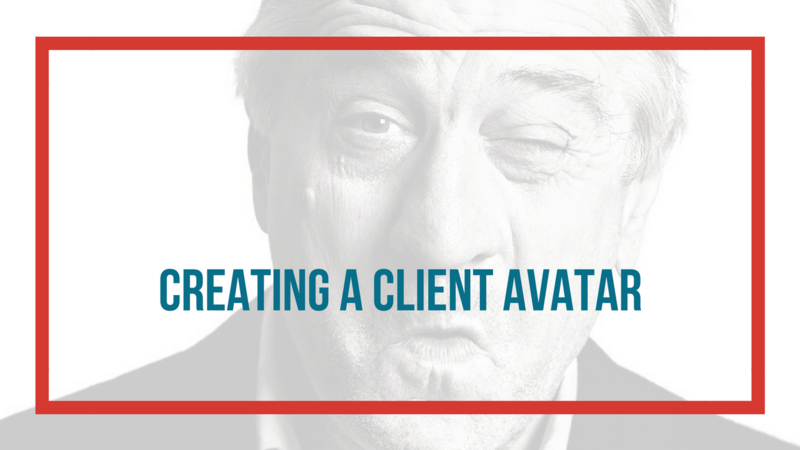 The best way to fix this mistake is to know your client avatar. 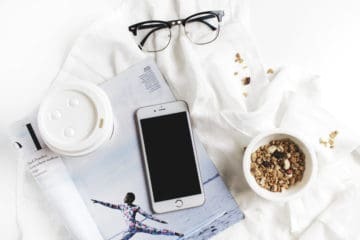 Once you have a clear sense of who your ideal client is and their unique challenges, you can better customize your ads to speak directly to this, hence connecting more to your client’s needs. This will help you to use your ads to paint a very clear before and after picture for your clients. That is, what their life is like before your services and what it will look like after. Fix this issue and your ad engagement will improve. See our example of ads that are achieving this goal. Boosting posts are great! They increase your reach and awareness like wildfire. If you’re looking for more fans and likes, a boosted post is the best Facebook ad option. However, if your aim is to book clients or get clients on your mailing list, a boosted post is not the option for you. The aim of a boosted post is to increase the number of eyeballs on your ads. This is an amazing tool if you have an already scheduled event and would like to increase the number of attendees through awareness. If you are trying to book a client it is best to create a targeted ad. Words that I’ve seen in Facebook ads for more than a handful of event planners. Why is this a mistake? This is not wrong per say, it just eliminates 90% of the process needed to inform a customer about your services. Event planners, unlike product-based businesses, are providing a more personal service. If a future bride decides to work with you, she is making a decision to hand over the details of her big day to you. She is essentially trusting you with a pretty intimate part of her life. Here’s my question for you, Why should she make that decision from a 1-2 paragraph Facebook ad? And most importantly, will she? Asking a client to hire you based on a brief Facebook ad view, is like being the guy at a party who walks up to a girl, says hello and asks her to marry him. He hasn’t taken the time to ask her anything about herself, gotten to know a bit more about why she’s at the party or even if she would like to get married! Quite presumptuous isn’t it? Well, let’s not make you that guy at the party. Before asking customers to hire you, try instead to take them on a journey of showing them why you’re the best option for their event planning needs. Try offering them a juicy piece of free content that will make their live’s easier. Maybe a wedding planning budget template that your brides have found helpful. Use this to get them on your mailing list, so that you can also keep in touch with them. 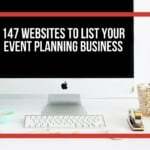 Once they are on your list you now have the opportunity to follow-up with them to offer more valuable information, see how their event planning process is coming along and to offer your services or a consultation if they have any questions. These are all paths that should eventually lead to a booking. Not sure how to set this up? Time to book a Just in Time Strategy Session. 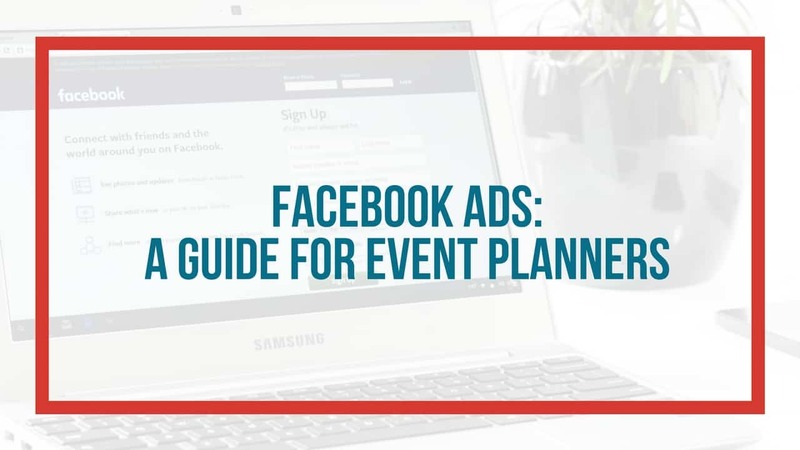 Now that you’ve seen the most commons mistakes that Event Planners make in their Facebook ads, be sure to apply these tips when setting up your campaigns. If you are new to Facebook ads check out the tutorials below. 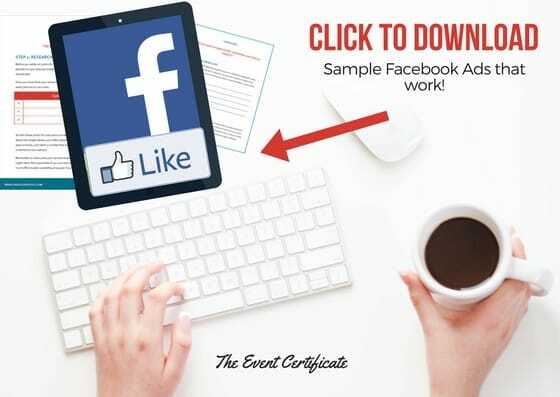 You will learn how to setup a Facebook Ads account, and create your first Facebook Ads campaign from scratch. If you’re unsure of how to get started with Facebook advertising, don’t worry – I’ve got you. Over at AdEspresso, you’ll find step-by-step instructions for setting up your Facebook advertising account, including the guidelines for working with Facebook Business Manager and Facebook Ads Manager. Once you have your Facebook Ad account up and running you can move on to setting up your first ad campaign. Also over at AdEspresso, you’ll learn the entire process of setting up your first ad campaign in the Facebook Ads Manager.